Fb6nocrustninja - Burlington,vt Bang for the buck "Great tire for cruising Keep up the great work team"
R6Wade - Colorado springs Great all around "I bought a set of motions for my R1 and within the first week I rode from Indiana to Colorado on them (1100 miles) temperatures were at multiple times below freezing and these trees still performed amazingly. I now have a set on my canyon bike (R6) and I have not ad any complaint. 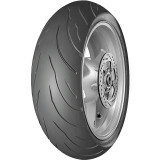 I can pull full lean on the tire with no slip and the grip it maintains is impeccable! 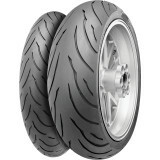 10/10 I would recommend these tires and have to many others."